"...bringing together the latest home-building technologies, a dedicated management team, and an experienced builder network. 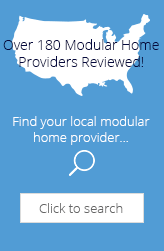 Innovative designs, and the ability to customize your home, provide our homeowners an affordable way to build a truly quality home..."
Editorial Review Pennwest Homes is a modular home provider for the Commodore Homes network. Their homes are above average with high building specifications. This division may be relatively new but Commodore has a long reputation of quality at fair prices. We think that home buyers near Pennsylvania will enjoy the Pennwest Homes. Our mystery shopper reports their website is professional looking but is a little light on content. We are impressed with their very high BBB rating. That should make potential home buyer feel more comfortable with Pennwest Homes. Well, after reading a majority of the reviews, I find that I am not alone. We have had nothing but TROUBLE with American Homes and PennWest. I have been trying for almost 1 year to get issues resolved in my home. From grout cracking and falling in the shower and silicone shrinking around the shower floor allowing mold to grow, kitchen pantry and refrigerator placed wrong, buckling siding on the back and side of house, broken outside faucet. There is no attention to detail. All the moldings and windowsills look like they have been stored for 30 years--all faded and they do not fill in any nail holes. We have gotten a runaround time after time. They would scheduled to come out but then cancel. Would I recommend them to anyone else? NO! NO! NO! Elaine Compton from Millingtoon MD. We used buffalo modular who goes through penwest and it was the most stress full experience of my life. Please don't use them I don't want people to go through what we had to go through. I would never do it again. We were never told the truth and they never admitted that anything wrong was there fault. Cost us about 10,000 more out of pocket to get a house that still need a lot of work. Quality is not something they seen to care about. Lost of low quality stuff and no attention to detail. We have only been in few months so I'm sure I'll find more things more things that need fixing. I was told alot of the stuff has a warranty but if they can do it right the first time I'd rather fix it myself so I know it's atleast done right the second time. We have had our Pennwest home for seven years now and just decided to have hardwood put in our home. They came to install it and told us because of our sub floor, we cannot have hardwood put in. Ive been doing some research and apparently we have particle board as our subfloor which is a product not even made to be used as a main subfloor! You would think they knew this or would at least present us the option of having a normal sub floor put in. At no point did they tell us that particle board is the base product they use if we don't choose an upgrade. Im furious. I can't put in the floors I'd like and now I'm wondering what kind of problems will I have down the road? We also have issues with cold air blowing through our house. The insulation is very poor. We had replaced a window and hired a private contractor in our area, he was blown away at how little insulation was around our window. I held a candle up to our kitchen windows above the sink, the flame could hardly stay still from the air blowing through. I have since went to Lowes and purchased a hand held instrument to read the air flow around our windows. We had a 10 to 15 degree difference from different areas temperature wise. Our moldings throughout the house are so smeared with caulk, we have been replacing moldings one room at a time. Wish I could put a picture on here of all the caulk smeared on the walls and moldings. Some walls though out the house have an orange peel effect from the primer being sprayed in the factory. We can't paint over it, it seems to show through making the walls look as if we can't paint. Steps to the upstairs have pieces of wood missing from the step itself in the corners. They put carpet over the step to cover the missing pieces of wood. All electrical sockets and electrical switches are not put on straight. Some of the light switches when turned on have an electrical buzz or throw a spark. Wood I recommend Penn West Homes... Nooooo!!! We have had this company back to our home numerous times to fix things, I finally told them don't even step into my home with a tube of caulk!!! I'm tired! And Tired of there run around! Sloppy workmanship, peeling molding from day 1 -they replaced quite a bit of it the first month but it is everywhere we will have to replace it all. The staircase has gaps in between the spindles and the entire paint job has been peeling I can't wipe anything down without it flaking. Sloppy drywall application leaking garden tub -if you buy one make sure you check all your outlets immediately they wired our great room all wrong and the kitchen was not done right either - they came to fix it. The sub floor was never level and the kitchen cabinets will have to be painted because the maple has aged and turned more orange over the past 5 years the veneer on the sides don't! They are still blond like they were 5 years ago - I am very frustrated and wish we had stick built our home - we would have had better quality and I wouldn't be faced with replacing all my moulding this summer and staircase spindles. We purchased a swiss chalet styled home in 2006. After reading the other remarks I am realize my problems are not due to "this is new house for us". We had to replace the fireplace, (Penn West did agree to replacing it with another of the same brand), we have had to replace the kitchen facuets, the tile around the counters, replace the framing of the doors, replace a basement door, (apparently they put a door to small for the frame and boarded it up to match, thus we replaced the basement doors, but the worse is the draft in the winter. Penn West told us it most likely (most being the operative word) the insulation. We paid over 1,200 to reinsulated the entire top of the house. Cold days, cold draft. Being retired it cost us way to much to make our home comfortable. Is it Pennwest, or the company builders I do not know, but I wish someone somewhere can tell me how to get rid of the draft. We built a Penn West home in 2006, and the finished work is terribly poor quality. The lack of pride has just really bothered us. We built a Modular home to avoid any more stress on us, as this was a house built to replace one we lost in a fire. The leaks, cracks, unfinished insulation, carpeting, dry wall and paint all over, marks on the woodwork, unfinished cupboards, BROKEN bath tub that was delivered that way, and remains broken today, the pipes that were NOT even connected and much more, are just simply SAD to us. The customer service from Welcome Home Center was great, and they tried their best to help, but PENN WEST simply seems to really only care about quantity and NOT quality. If you want to remain in business, please get on the men and women who are building, check on them, encourage them to take pride in AMERICA and in their jobs. WE are better than this Ladies and Gentleman. I want to see you succeed, but sloppy work is very disappointing. If my husband was not able to FIX all the mistakes, we would be out a fortune. Sorry to be a downer, but this is an honest review and I sure hope it helps. We just bought model HS160-A18 a 2 story 1852 sq ft home. The dry wall and painter that the dealer brought in were very bad and that is being nice. The people that came in form Pennwest even said so. They had dry wall mud and white primer on wood work and all the flooring even counter tops . The Pennwest people were a big help in cleaning up the mess. My complaint is none of my phone jacks or TV cable jacks work. The Dealer says that all the wires were cut while putting the house together. I really do not want cable and phone lines running up the outside of my $189,000 home. We have had serious dissapointment with out home since purchasing it in 2006. We have moisture problems with the windows, that they blame on us. They just keep putting a band aid on it and have never remedied the problem. Last winter they came to our home and ripped up part of the attic floor and found mold and moisture. They put vent holes in part of the floor and treated the mold and have never returned. We have no insulation or floor boards put back over the removed part of the floor. The drywall is poorly done in many parts of the house. The ceiling is where it is most noticeable. There is glue on the linoleum in the main bath that I have yet to get fully removed. We have NOT recommended a Pennwest Home on many occassions. We have been told the problems lie within the way we heat our home and built the foundation. Shame on Pennwest for passing the blame and not stepping up and helping someone trying to make their new home a happy one! Lynn and Gary from Thompson Pa.
My husband and I researched stick built and modular homes for three years. After all our research we decided on a modular home which we purchasaed from Interstate Homes in Harpursville New York. The manufacturer was Penn West, the style Walton. The house was completed in 2009. The quality, appearance and livability is great. We have had nothing but compilments on it. Another family on our lake like it so much and was so impressed with the construction and quality they are buliding one also from Interstate Homes (Penn West) simmular to ours. Neal out of Interstate Homes was our main contact person. He was great, always there when we needed him and responding ASAP. His crew were very professional and the quality of their workmanship was nothing but the best. Hats off the Interste Homes and all involved. Thank you Penn West for designing a great house for us. We love it. Has anyone notcied that every single response from PennWest on a complaint blames the customer. I guess Pennwest is perfect and doesn't make any mistakes. Well at least they will spin it and blame thier CUSTOMERS. We purchased the Pennwest, Lexington II and have been very happy with the appearance, livability, and quality of the home. Recently, our area experience some extremely adverse winter weather and today makes the sixth day my family has been without power. Due to the quality workmanship and overall quality of the design and materials put into our home by Pennwest my family has remained both SAFE and comfortable. Even with the temperatures dropping into the single digits and low teens we have been able to heat the entire house with only one (small) propane heater. In fact, we have been able to keep the downstairs at a constant 63F and the upstairs as high as 67F. Not one single water line has frozen and nowhere in the home have we experienced any sweating or cold related damages. People talk bad about modular homes but we have standing proof that if you purchase from the right builder such as Pennwest you will have a home of substantial quality. In fact, I challenge any stick built home owner to turn their power off completely in the dead of winter and see if they can maintain that home with a single propane heater. A big thanks to the folks at Pennwest Homes, because of your dedication to provide an above quality home my family has been safe and sound in the worst of conditions. Poor quality, poor workmanship. The painter we hired said it was one of the worst drywall jobs he had ever seen. The flooring was put down wrong so it has to be replaced, as mentioned by a previous buyer there are some outlets that don't work and switches that are wired wrong. We upgraded our cabinets and I'm telling you I would hate to see the "standard". The drawer slides are the old fashioned metal and roller ones that were in my 34 year old home that I sold to buy this expensive, poorly built house. I wish it was like buying from Walmart (if it doesn't meet your expectations return it), but alas this is not the case. Buyers of Penn West Moduler homes beware. Pennwest uses KCMA cabinet construction, which means they meet the certification requirements from the Kitchen Cabinet Manufacturers Association as well as the ANSI (American National Standards Institute). My wife and I searched for homes for over two years before we decided which one to buy. Penn West had awesome kitchens and bathrooms. The home we chose has more cabinets and countertop space than the stick house my brother had built. We were unsure as to who to buy from so we talked to our salesperson if we could visit their factory. We visited two factories and were very impressed with the Penn West factory. They took us onto the production line to see for our selves how they are built. Then we saw two model homes that were set up there. They explained how service on the home would be handled between the dealer we were buying from and Penn West would be handled. After our home was set up we were disappointed because it didn't look like the model homes we had toured at the dealership and Penn West. It seemed to lack the quality we remembered about Penn West. We called our salesperson to complain and go over the list of crappy workmanship. He explained that it was normal and that we should make a list and send it in so that their servicemen could "fine tune" the home. After a couple trips by them and one by Penn West almost all the items were taken care of. We went with modular because we saw what my brother went through building his home. This was not an easy process at all but looking back on it we are happy with our home. 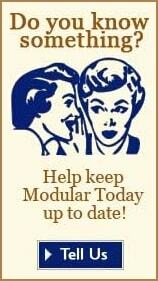 My advice if you are considering a modular home - visit the plant it is built out of. John Davis from Harpursville, N.Y.
Well where should i start?hmmmmm....... first off i would like to tell everyone that is thinking about buying a pennwest home check with the BBB BEFORE COMMITTING YOURSELF!!!!!!!!!!!!!!!!!!! !the service department are all a bunch of morons!!!!! the fact of the matter is that they dont care after the dealer you buy from pays them.we have had numerous problems hvac/flooring/stairs/carpet/mb shower and now the newest is the floor joists!!!! !i have contracted outside engineers and builders and my own building inspector to come in and evaluate my my flooring issues and they all agree the floor joists are crowned wrong!!!! so the solution is to replace them and the factory is denying to reimburse me the 23,0000 dollars its going to cost me.well sadly but true they will pay one way or another.we have even gone as far as contacting the owner of the commodore corp. and we get nowhere.they have paid me off on the heating system cause of the proof they gave me as to how its suppose to perform and my engineer test reports show it will never perform to what its suppose to be!!!!! !so here again im out 20,000 to fix the problem.this will be the 5th time my kitchen and nook are being ripped up.we have been complaining about this since the day we moved in in nov.07.so we will see where this goes.if i dont get results from them we will have to go further!!!!!!! When we first realized that we had a problem I was very concerned that I would have to fight or have legal issues getting this taken care of. We made 1 phone call to Penn West and within 2 weeks a contractor had contacted us and explained what they were going to do to fix the problem. When the same issue came about again then I was really concerned that it was going to be addressed, once again we made 1 phone call and within approx the same time frame the contractor contacted us and at this point taking care of the issue. I am very pleased to say that this company in my mind is the best to do business with and have stood behind everything they said they would. The contractors are very neat, very pleasant and very quick. I looked at alot of homes before buying this one and I am greatful that I chose Penn West. My wife and I purchased a Penn West home through Patriot Home Sales in PA. WE have been living in the house now for four months, with few issues that have been taken care of by Penn West or Patriot Home in a timely matter. The house is everything we expected. Penn West had great flexibility with the floor plan and options for a great price. Penn West Homes had some of the best standard features then what we found from many other modular home companies. One thing I do recommend which we did do was purchase the heating and air conditioning through a separate contractor, due to the heating and air conditioning supplied through Penn West is insufficient. My wife and I can not be any more pleased with our home so far and I would recommend a Penn West Home to any one looking to buy a modular home. We have lived in our home for three months now. No MAJOR problems so far but numerous disappointments in the quality of the home. Alot of the work done from drywall to tile floors looks very poor. In all honesty it does not look like it was done by a professional at all! There is a big problem with quality control. Alot of the work looks sloppy. Dripping paint marks, patchy drywall, missing trim around cabinets, crooked vents, light switches and sockets, sloppy grout work. I could go on and on. We will see how it gets resolved with service coming back again. Pennwest has sent one service man out and he was not impressive at all. He tried to remove glue they got on the carpet by spraying WD40 and cutting it out. He wanted me to accept that. They really wanted to get out of replacing the carpet that was stained with glue before we even moved in. I don't think so. So needless to say, we are less than impressed at this point. Manufactured housing does not have to be cheap and sloppy! I do however remain optomistic that we will get our issues resolved. We couldn't be happier with our new home. Our builder gave us the flexibility to modify the plan to meet the needs of our family. The standard features of the Pennwest surpassed any other home we researched in the market. How can they put that much in the home for the price? Who cares? We got what we wanted, and we love it. We invite you to share your personal opinion of Pennwest Homes . Please explain your like or dislike.